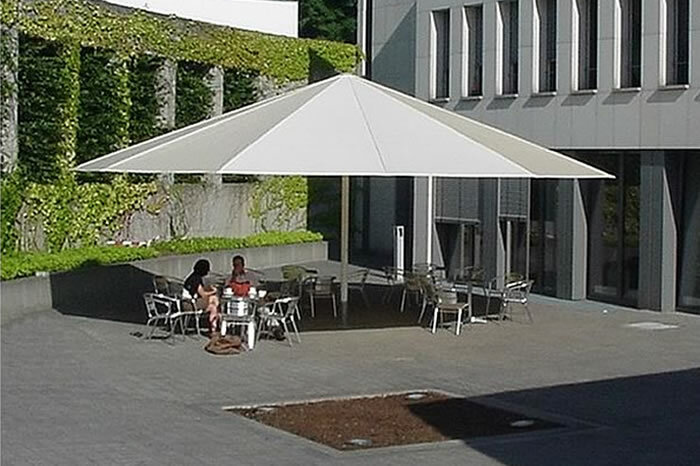 Our Classic Parasols are suitable for all types of commercial and residential use. 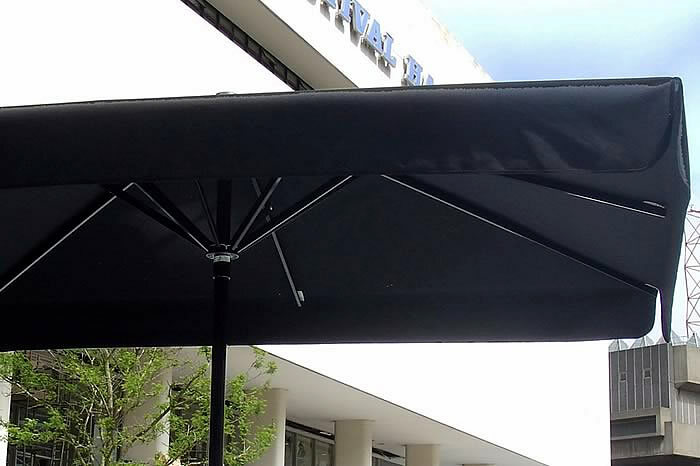 Manufactured to the highest quality they are available in various sizes up to 6m square but with our rain-gutter system can protect an area of any size. 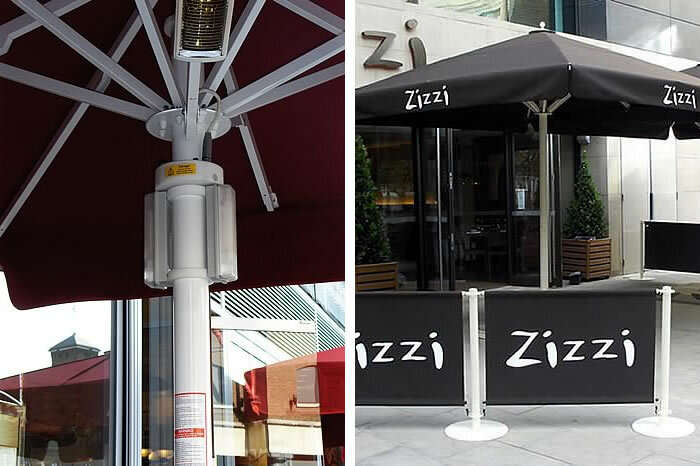 All parasols have a fixture option of a stainless steel ground socket or surface mounted mobile bases. Restaurants, pubs & bars, hotels & private residences. 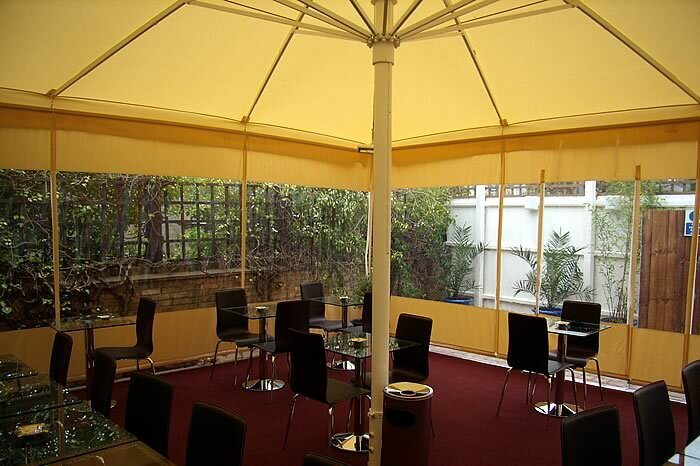 Integrated lighting, add on lighting, electric heaters, rain gutters to connect two or more parasols & valances.